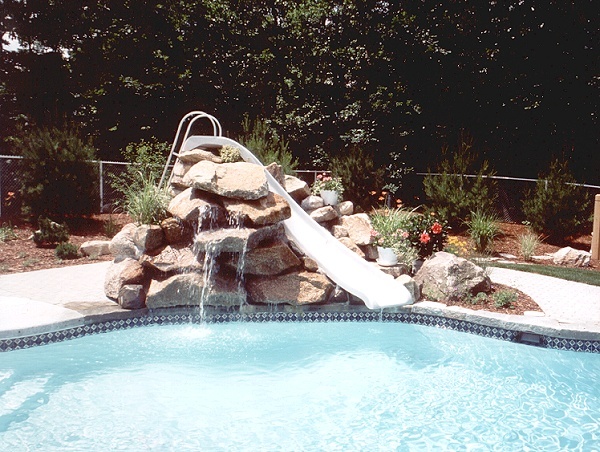 In years past, when it came to outdoor recreation, most homeowners thought first and foremost about pools. 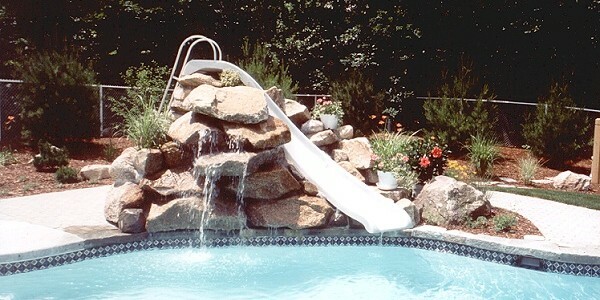 Traditionally pools have been a focal point for recreation, exercise and as a place for family and friends to gather. In today’s fast-paced world, many, if not most, homeowners have come to appreciate the beauty and serenity of waterscapes – either as part of a pool or as a separate feature. 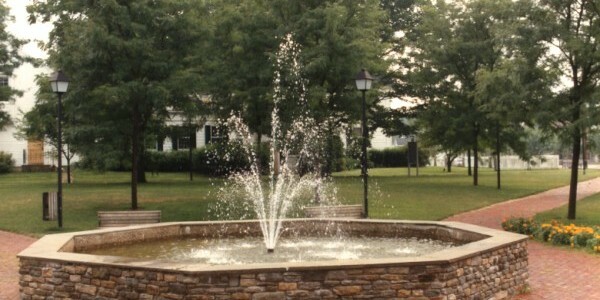 Waterfalls, fountains, brooks, streams and custom- designed water features have become a mark of distinction found in many homes. 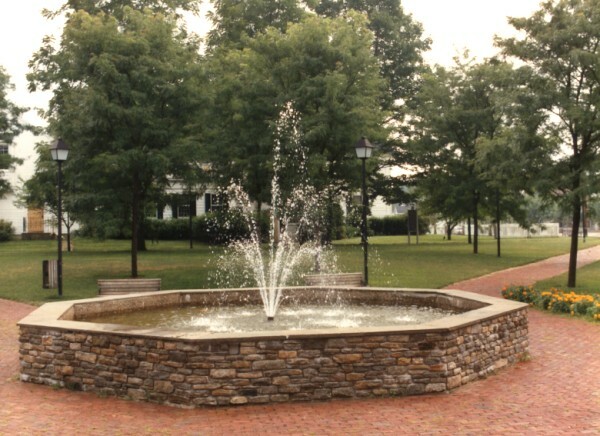 Incorporating a water feature into your landscape creates the opportunity to enhance the natural beauty of your site in a way that will add to the beauty and value of your home. 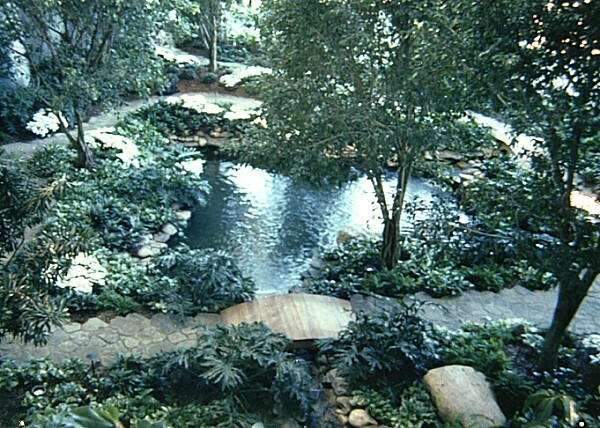 One of the many benefits of natural flowing water in a well-designed waterscape is the uniquely serene and peaceful dimension it adds to your environment. With the wide variety of options now available, you don’t need a country estate to enjoy the many benefits of a backyard waterscape. 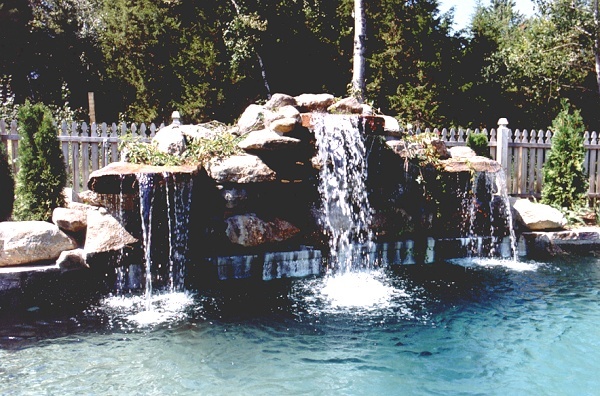 Our waterscapes are designed to be energy efficient, requiring minimal maintenance. 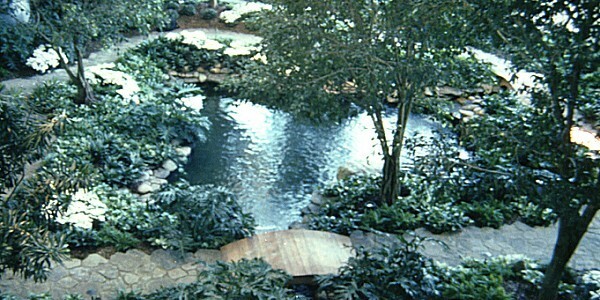 Waterscapes are the focal point of many landscape settings. Well designed waterscapes can add a stimulating backdrop for your own relaxation and enjoyment. 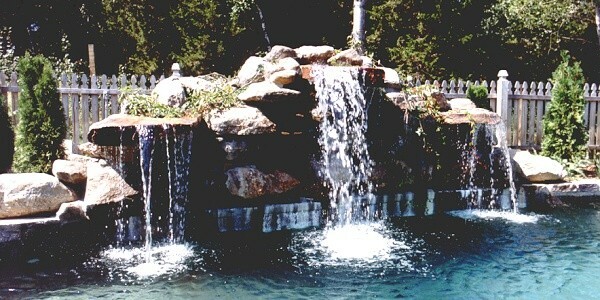 Waterscapes mature with age and are very popular trends in pool building, as are foggers and fire pits. Waterscapes, foggers and fire pits provide a touch of elegance and ambience to your outdoor setting. Rizzo foggers create a certain mystique for your surrounding and our fire pits will keep you and your guests warm and comfortable.